Anna Weyenberg will attend Ouachita Baptist University. 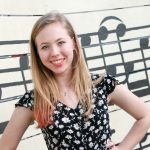 Paris Dupre will attend Texas Tech as one of seven students in the newly established Musical Theatre department. Lauren Mullan will attend University of St. Thomas in Houston. Kaleb Muñoz attends Texas State University. CAMF is proud to announce its 2017 scholarship recipients. 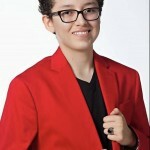 Kaleb Muñoz graduated from Booker T. Washington High School for the Performing and Visual Arts in Dallas. He will attend Texas State University to study sound recording technology and music performance. He plays cello and piano. Sydnee Johnson is a graduate of McKinney Boyd High School. 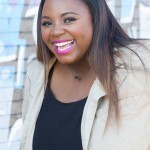 She is attending Clark Atlanta University to study opera. She sings alto and soprano. 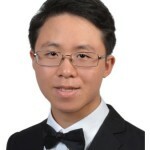 Ivan Gan, pianist, is a graduate of Jesuit College Prep School and will attend Northwestern University. Anusha Ramaswami attends the University of Minnesota with a goal of majoring in music therapy. 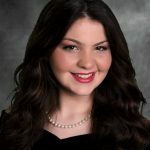 Elizabeth Shelby, vocalist, is a graduate of McKinney High School and will attend Ouatchita Baptist University in Arkadelphia, AR. 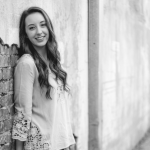 Bethany Woelmer graduated from Faith Lutheran High School in Plano. She will attend Concordia University of Wisconsin to study piano and organ. She also plays violin and trumpet. 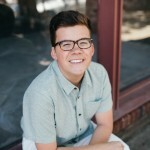 Jacob Schnitzer is a graduate of Plano Senior High and will further his music studies at Butler School of Music at University of Texas. Jacob has already composed pieces that have been performed by a high school ensemble. He will study composing and French Horn. 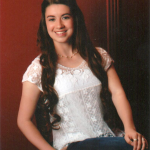 Kristen Lee, a graduate of Lucas Christian Academy, will pursue a degree in piano at Oklahoma Baptist University. Having studied with a wonderful piano teacher, Kristen would like to teach piano in her own private studio. 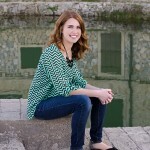 Laurel Page will continue to study piano at Oklahoma Baptist University. 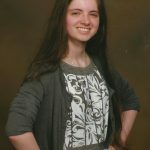 Laurel graduated from a home school program and has a long term goal to become a music therapist. 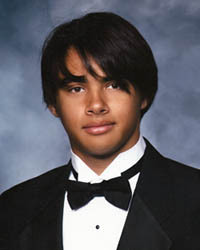 CAMF is proud to announce its 2011 scholarship recipient, Michael Fowler of Plano, Texas. Michael, a graduate of Plano West High School, performed for the CAMF board on July 31, 2011. 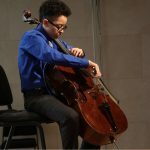 He has been accepted into the school of music at University of North Texas. Michael studied piano with Peggy Griffith, member of Plano Music Teachers Association. During high school he accompanied the jazz ensemble and served as officer of the band and played tuba. Michael is very appreciative of the award and CAMF is glad to contribute to his musical pursuits. Derek Hawkes, continues to study trombone at SMU and was awarded a partial scholarship for 2011. Meridith Crawford, graduate of Allen High School. 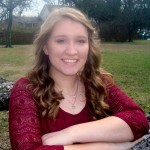 She will attend TCU as a clarinet major. Derek Hawkes, graduate of Plano Senior High. He will study trombone at SMU. Meredith and Derek each received a $2,000 scholarship. Congratulations!